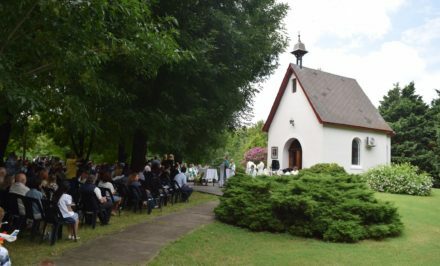 The following year, the couple said that they returned to Schoenstatt, where they met a Paraguayan-German couple. “We posed the mission we had, we went to their home, we looked for a picture along with them, and we made several calls to obtain it,” they recalled. Some months passed, and the family from Chaco continued the search without losing contact with their foreign brother/sister, until the day they called them to say they would come to Resistencia. “In February of that year, they came to visit us, and they told us of their desire to donate the picture,” they related emotionally. 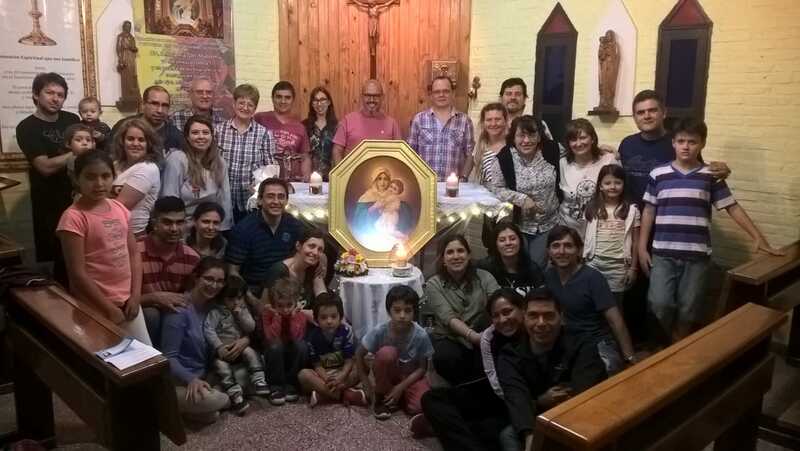 After that, they learned that the Brothers of Mary from Santa María made custom made pictures (as well as making the altars for shrines and the Auxiliaries of the Schoenstatt Rosary Campaign) and the foreign couple ordered the wonderful gift so that the Chaco Family would have theirs. On Monday, October 15th, shortly after they arrived in Resistencia, the faithful went to the land with the picture. 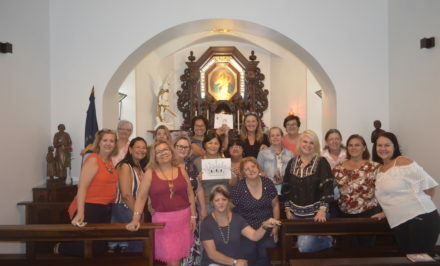 At that moment, a group of Family Work members were having a deep moment of prayer, and the Mother Thrice Admirable of Schoenstatt picture surprised them. Undoubtedly the picture not only left the group of people praying very touched, but also the entire Chaco family that joyfully welcomed the arrival of our Mother to the land. On Tuesday, October 16th, the Schoenstatt Family from Chaco celebrated Holy Mass on the land, where the future daughter shrine will be built. 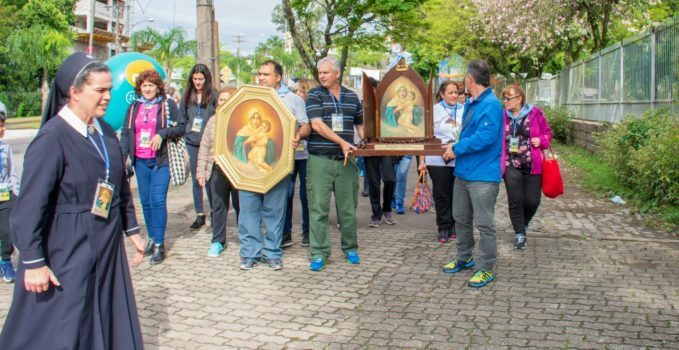 With the joyful spirit in celebration of the Word, the Blessed Mother manifested herself before all the participants with a great gift: the picture of the Mother Thrice Admirable of Schoenstatt, which was brought from Santa María, Brazil! Once the Mass began at 8:00, the atmosphere was very emotional. 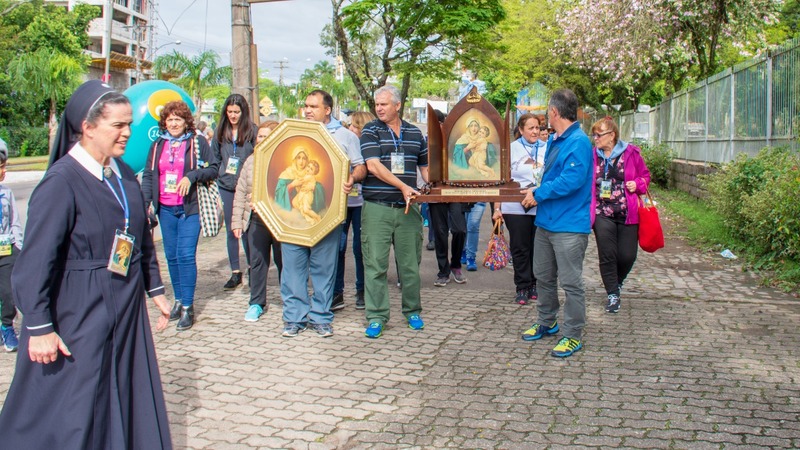 The faces of the Family shone, and they reflected a joy and inexplicable emotion as if the historic line of the Schoenstatt Movement could be summarized in two words: heart and life, because that is what was experienced in these moments of conquering a shrine. Besides this beautiful experience, Fr. 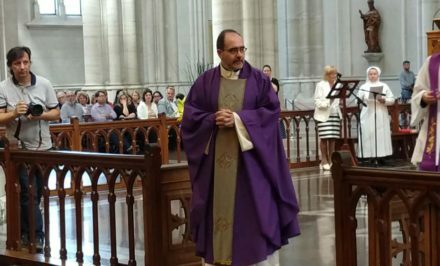 Manuel López Neón, who was visiting, along with the postulant novices of the Schoenstatt Fathers celebrated the Mass. The priest stressed the importance of this moment that the Chaco family experienced, as well as the task that is entrusted to them to work together and in union with contributions to the “Capital of Grace,” a fundamental element in conquering the shrine, as well as the attachments that will be generated before the presence of the Blessed Mother’s picture. After the Mass ended, Fr. 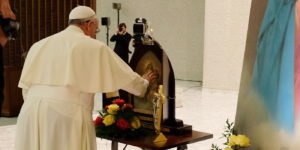 Manuel proceeded to blessed the picture and he emphasized: “The picture of the Blessed Mother Thrice Admirable of Schoenstatt tells us that with her gaze Mary transmits all the love and closeness to her. Every pilgrim who will visit the land and contemplates it, will feel her maternal embrace: the sheltering of the Most Blessed Mother.” Today the family fulfills the conquest of one of the symbols of their desired shrine through concrete works. Upon seeing her picture, everyone was touched with this blessing. 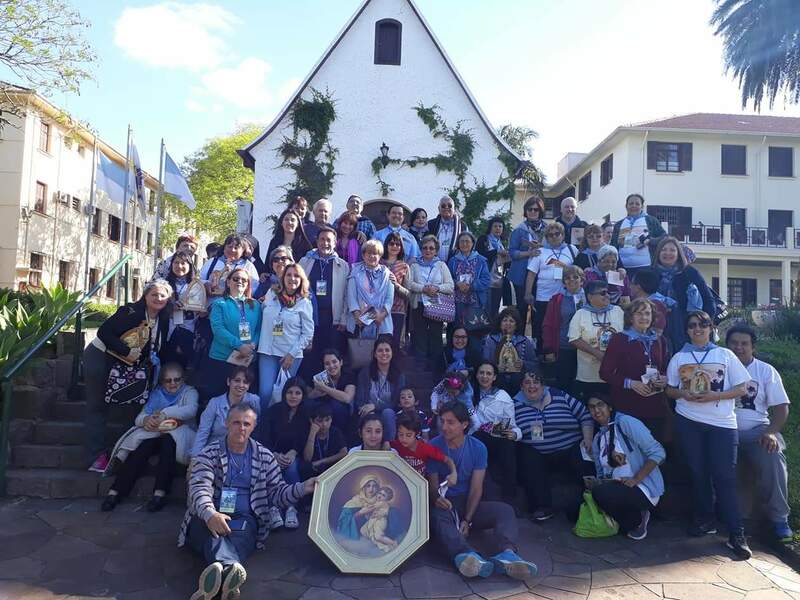 Those who have known the Schoenstatt Movement in Chaco for several years, commented about the fire felt and the fervent desire at these times is very strong, Assuredly the Blessed Mother wants a place in Resistencia. The current generations celebrated this blessing with songs and guitars. 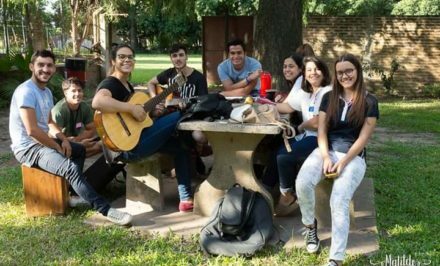 The Schoenstatt Family was happy and eternally grateful that our Mother chose Chaco once again.